A signature brand of TexTech Industries, ResistX is a value-driven collection of inherently flame-resistant protective fabrics engineered to defend against flame, heat, and electric arc while delivering a high level of comfort. The ResistX product line includes a range of knit fabrics of various weights and colors, soon to be complemented by a select few woven fabrics. ResistX meets all No Melt, No Drip requirements for flame-resistant PPE. Click here for more information about ResistX, including testing data. Click here for more information about ResistX, including testing data. Click on our partner logo below to find a ResistX solution for your protective application. You may also contact us directly. ResistX has the advantage of being a signature brand of TexTech Industries Inc., a leading global developer and manufacturer of performance-driven materials. 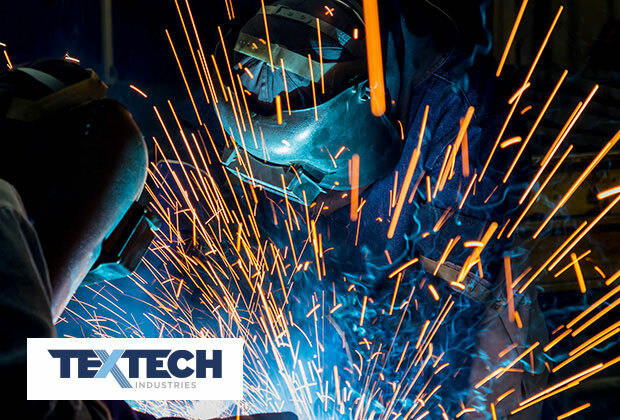 TexTech’s global distribution platform and in-house engineering, testing, and manufacturing capabilities facilitate the development of new ResistX products to meet the requirements of a broad range of difficult and demanding protective applications. 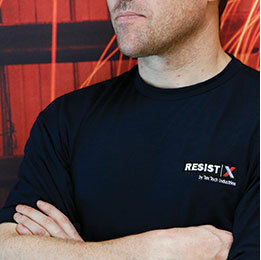 Tell us about your application for ResistX. Please complete the form below, and a ResistX team member will respond to any questions or requests as soon as possible. © ResistX. All rights reserved.